Magical Larkspur, nestled in the eastern edge of Mt. 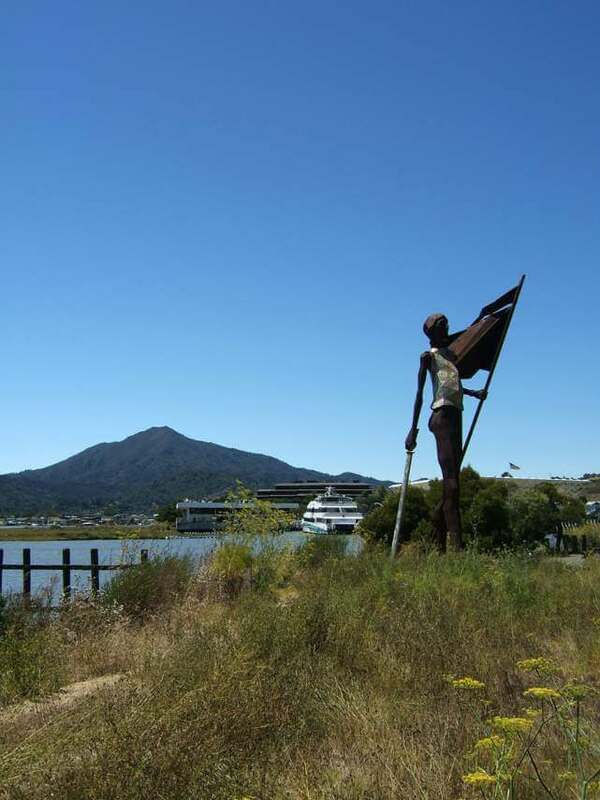 Tamalpais, enjoys the finest weather in Marin County. Larkspur real estate enjoys wooded canyons which were once favorite hunting grounds of Spanish settlers. In the late 19th century, subdivisions offered ideal sites for vacation homes, plus homes for permanent residents. Downtown is listed on the National Register of Historic Places. Larkspur real estate buyers prize quiet, sunny homes with diverse architecture, including cabins, Victorians, mission-style, New England, Tudor, California ranch, and modern. Settings range from deep canyons lined with Redwood, Bay, and Madrone trees (on the west side town) to level lots on the east side. 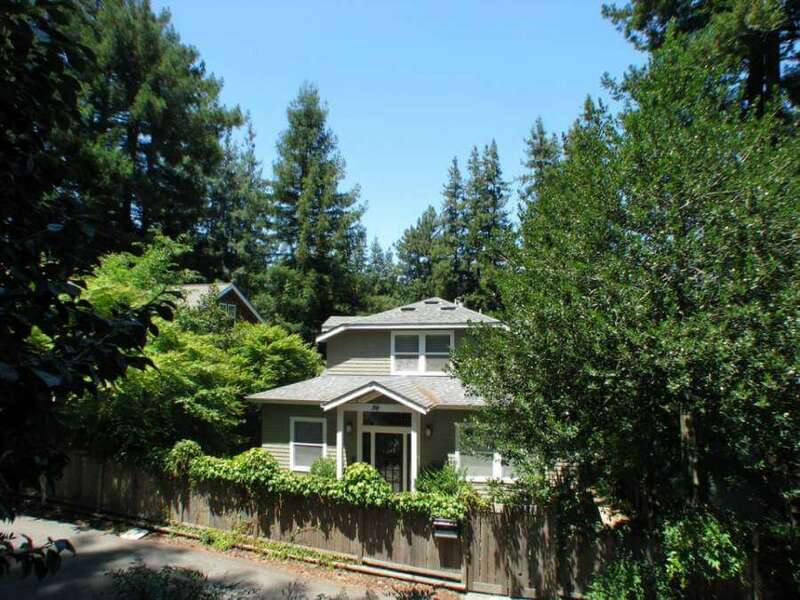 Forty years ago, Larkspur was the undiscovered; now it is equal to Mill Valley in lifestyle and home values. The town provides the sought after walk-to-town that many homeowners want. troll down Magnolia Avenue, the main street, and enjoy dining in fine restaurants, shopping in high-quality specialty stores, or a rest in an intimate coffeehouse. 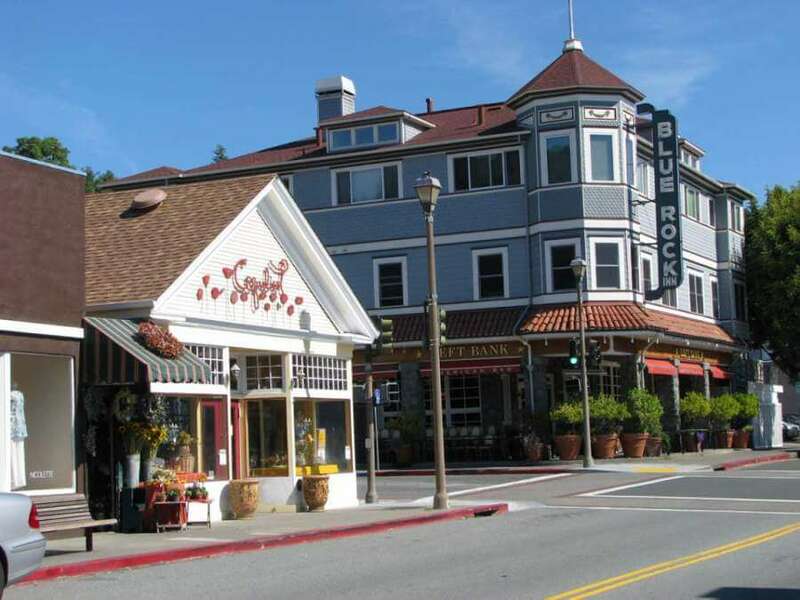 The meandering town limits include part of Greenbrae to the north and the San Quentin Peninsula to the east along the bay, with the Larkspur Ferry terminal and the Marin County Mart at Larkspur Landing with popular, bustling restaurants, and a variety of shops. 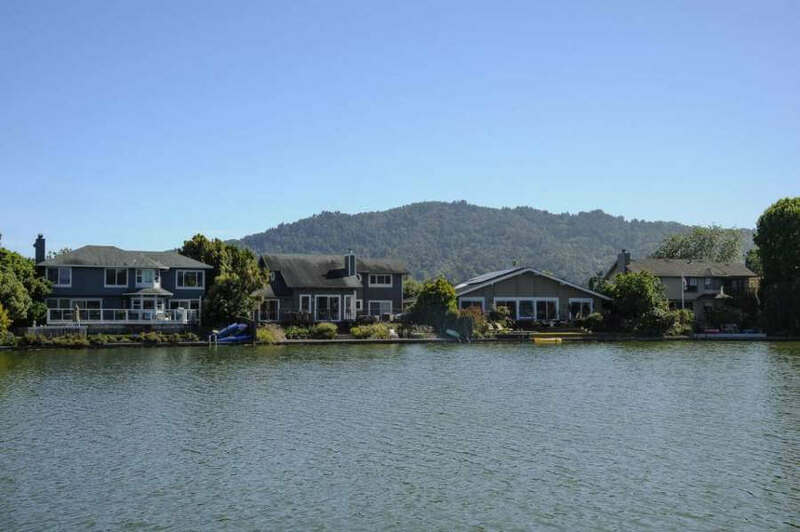 Larkspur and Corte Madera are geographically continuous, and are known as the Twin Cities. They share schools and a Police department, and may soon share fire departments. For Baseball fans: Special ferryboat service from the Larkspur Ferry Terminal delivers you on weekends directly to AT&T Park for San Francisco Giants home games. Historic, downtown Larkspur appears in the blue outline. Sections of Greenbrae and the San Quentin Peninsula (black outline) are also within the Town of Larkspur. Larkspur Chamber of Commerce The 4th of July pParade that they sponsor is not to be missed. Marin Airporter. Great way to commute to the San Francisco Airport. Annual Fourth of July Celebration Hometown event not to be missed! Larkspur offers a wide variety of outdoor hiking trails on Mt. Tamalpais and King Mountain. The old railroad tracks are now a beautiful, level walking and cycling path that extends from Corte Madera to Kentfield and out across the marsh toward the San Francisco Bay. You can join this trail at its south end, at Tamalpais Drive in Corte Madera, or just in front of the Lucky supermarket in downtown Larkspur. The downtown business district extends a few blocks along Magnolia Ave, fron Town Hall to the corner of Doheney Dr. There are more shops at the north end of Magnolia Ave, closer to Kentfield. The Marin County Mart, in east Larkspur on Sir Frances Drake Blvd, hosts a collection of shops and poular restaurants. Coquelicot, Lovely French shop in the downtown, with unique linens, tableware, and antiques. Always a fun place to stop. Very delightful owners. The Lark Theater, a late art deco movie house in the heart of town, has been renovated with comfortable seating. It screens first run Hollywood, independent, and art films. You can purchase wine and snacks in the lobby. Folio, at 483 Magnolia Ave, has the best stationary, custom invitations, and elegant home gifts. Jim Corbet’s Hardware is a complete, old-fashioned hardware store. They have everything, including a very good kitchen section. Just moved to its new location on Magnolia Ave, at the corner of Bon Air Road. Silver Peso, downtown, is one of the oldest, funky neighborhood bars in Marin, complete with pool tables and shuffleboard. It’s a good place to meet local residents. C. J. Chinese Cuisine, across from the city hall, serves traditional Chinese food. A favorite in Marin. Emporio Rulli is the best for people watching and tasting the sweetness of Italy–an authentic Italian café. Offering a wide variety of pastries, cookies, coffees, gelato, wines, Italian foods, and interesting kitchen pottery. Very good light lunches. Farm House Local on Ward Street, at the main intersection, serves excellent and innovative breakfast and lunch menus. Consistently good. Outdoor patio available. Left Bank is French bistro in the historic Blue Rock Inn. Good burgers, Salad Niscoise, and other French standards. Very popular, with a great happy hour and bar. Outdoor seating. Picco in downtown, has very fine food–probably the most elegant in town, and one or our favorites in Marin. You can’t go wrong with anything on the menu. The Pizzaria Picco next door gets rave reviews. Interesting wine selections. Perry’s is in a Victorian building among the redwoods at 234 Magnolia Avenue. The best dining is on the patio on a warm afternoon. Rustic Bakery may be the finest bakery in Marin; pastries, muffins, bread, even crackers are exceptional. The café is always busy for breakfast and dinner. At 1139 Magnolia Ave.
Table Cafe is hidden away at 1167 Magnolia Ave. The food is fresh, thoughtfully prepared, and light. Farmshop, listed in the San Francisco Chronicle’s Top 100 Restaurants for 2013, offers a full-flavored experience with style, and comfort. Using fresh local fair in every glass, on every plate, in every bite. Marin Brewing Company, A popular meeting place for young and active people. Typical, satisfying pub fare to go with a beer. Rustic Bakery may be the finest bakery in Marin; pastries, muffins, bread, even crackers are exceptional. The café is always busy for breakfast and dinner. Three Twins Ice Cream serves excellent locally produced, organic ice cream. Courtyard by Marriott Hotel Larkspur Conveniently located near the Larkspur Ferry and Larkspur Landing with restaurants, shops, and transportation, including the Marin Airporter. Larkspur Landing Hotel Suite hotels suitable for extended stay and corporate housing. Great location.